Costa Rica and Panama have developed joint Standard Operating Procedures (SOPs) concerning disaster displacement over their common border. Between 21 and 22 August 2017 at the ‘Sabalito de Coto Brus’ border crossing, officials from both countries put in practice and tested these SOPs into a simulation exercise. Costa Rica and Panamá are located in areas highly prone to natural hazards, especially hydro-meteorological hazards, such as storms and hurricanes, which have led to floods, landslides and mudslides. At the same time, both countries are under the influence of the interactions of the Cocos and Caribbean tectonic plates on the Pacific Ring of Fire and the North Panamá Deformed Belt. This renders the countries vulnerable to geophysical hazards as well, including earthquakes and volcanic eruptions. 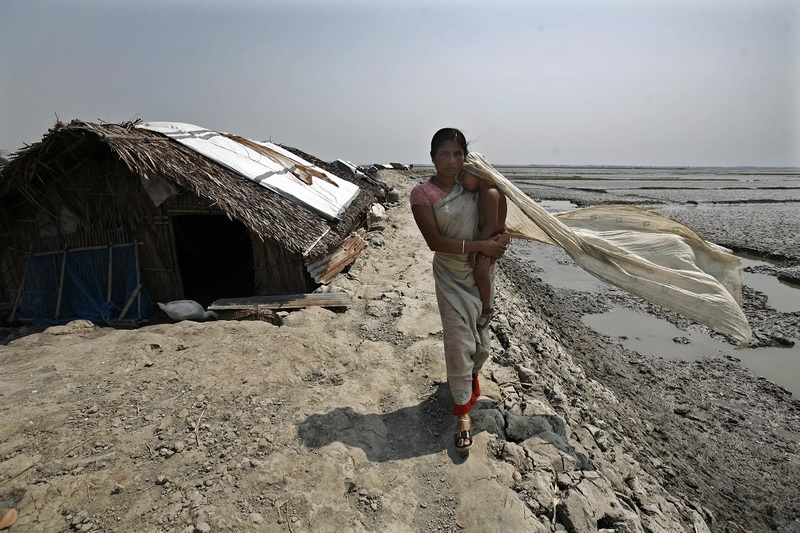 Such hazards cause disasters in both countries, which can trigger forced movements of populations. To manage displacement and disaster risks, the two countries have put in place several bilateral mechanisms and policies, such as the Costa Rica – Panamá Border Development Agreement, the Costa Rica – Panamá Association Accord, and the Permanent Commission for the Protection and Assistance of Vulnerable Migrants (COPPAMI). 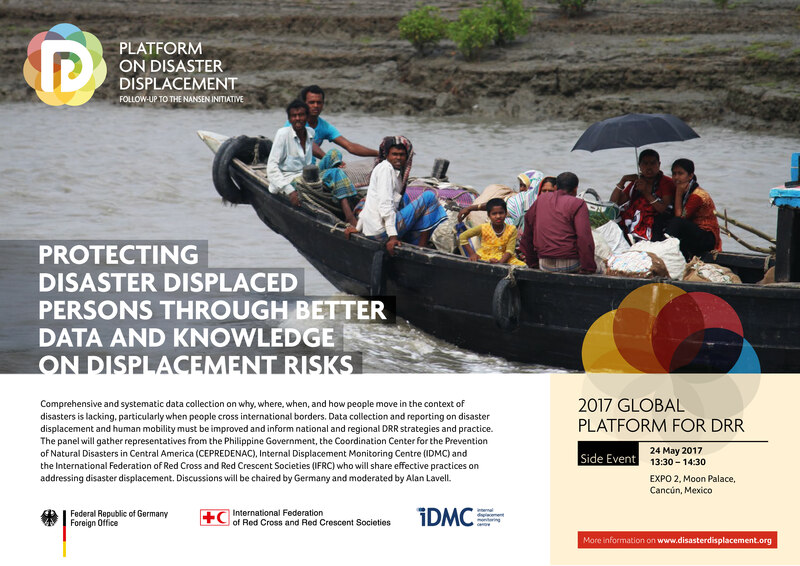 Regionally, both countries actively engaged within the Regional Conference for Migration (RCM) to adopt the Guide to Effective Practices for RCM Member Countries: protection for persons moving across borders in the context of disasters. The developed SOPs rest heavily on this Guide, which provides measures States can take to address the needs of disaster displaced persons by using already existing law, policies and practices. The two-day simulation exercise is a step further in the countries’ efforts to be prepared and ensure protection and assistance for cross-border disaster-displaced persons. On the first day, participants reviewed and discussed the SOPs in country work-groups and on the second day they had to apply them jointly in a simulation exercise. The exercise assumed the scenario of a 7.6 magnitude earthquake affecting both countries and causing a disaster with high numbers of injured persons, disappearances, deaths, and significant infrastructure damage in both countries. The earthquake also gave way to significant landslides and fires. In this context, both countries’ analysis, as part of the exercise, concluded that cross-border population movements could arise, with persons seeking medical assistance, shelter and food. Within these circumstances, the participants had to implement the SOPs and organize protection and assistance mechanisms for cross-border disaster-displacement cases. Participants included representatives from both countries of relevant Ministries such as: migration, foreign affairs, health, affected populations, emergency response, disaster risk management, border management and security. National Red Cross Societies, IOM and UNHCR representatives also took part. 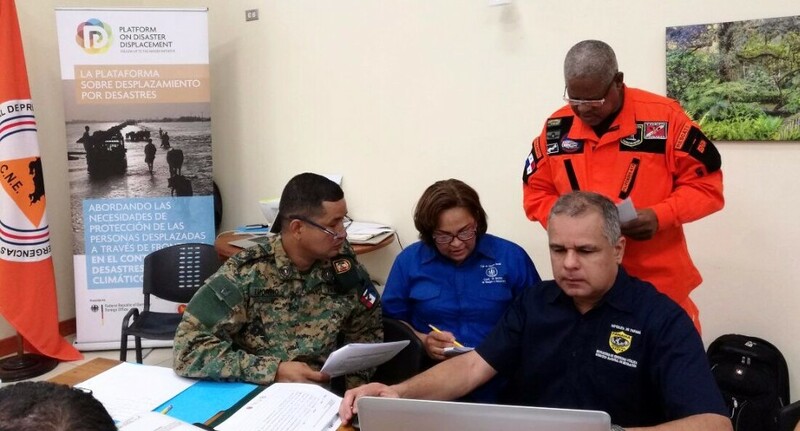 The workshop was organized by the Costa Rican National Emergency Commission and the Panamá National Civil Protection with the support of the Platform on Disaster Displacement (PDD).